Irene (Contos) Veros was born on April 22, 1925 in Paterson, NJ and died peacefully at the age of 93 in Malta, NY on April 11, 2019. Irene was married for 67 years to Savas Veros (deceased) and was the daughter of Annie and Peter Contos. Irene started working at a young age in the family candy store. Her specialty was hand dipping chocolates which she continued to make long after the store closed - much to the delight of her children, family and friends. She was an expert typist and stenographer and worked as a secretary at the Curtis Wright Company after high school. She stopped for a few years to raise her children, but later enjoyed working part-time evenings, first selling china, then cosmetics, and later jewelry. She was a beautiful saleswoman and had a great success in this business. Once Yaya Veros moved in with the family, Irene went back to work full time. While working as executive secretary to a Vice President at the Bendix Corporation, her boss encouraged her to enroll in college. She graduated with a Bachelor’s degree from Fairleigh Dickinson University and was immediately promoted to a marketing position, where she stayed until she retired at the age of 65. Her friends and family fondly remember Irene’s baklava, koulourakia, and especially her kourambiedes. Irene sang in the church choir as a soprano at St. Athanasios Greek Orthodox Church for many years. She also enjoyed her trips to Atlantic City, especially Ceasar’s Palace. Irene was the sister to Thomas Contos (deceased) and Demetrios Kontopoulos. She is survived by two daughters and their husbands, Diane, married to Michael Profita and Stacey Ann married to George Varianides. Also surviving are grandchildren Jamie Enos and her husband James, Jason Varianides and his wife Alison, and Nicholas Profita and his wife, Christina, as well as great-grandchildren Kassandra, Kalliope, Alexander and Tyler. 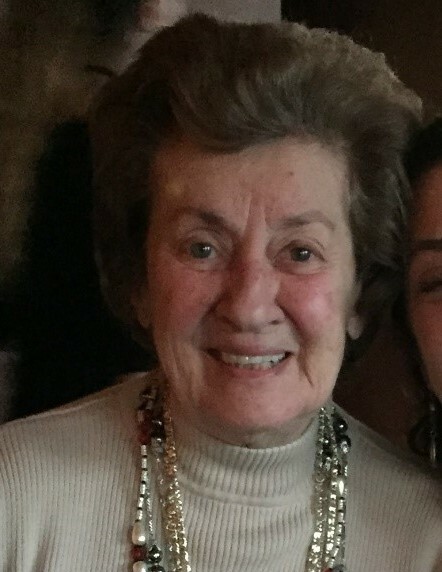 Those who wish to make a donation in Irene’s memory can forward a contribution to St. Athanasios Greek Orthodox Church, 51 County Road 62, Paramus, NJ 07652. Funeral Services will be held on Thursday April 18, 2019 at Holy Cross Greek Orthodox Church, 2250 Goshen Turnpike, Middletown, NY 10940 at 10:00am. Burial will be in Orange County Veterans Cemetery in Goshen, NY.